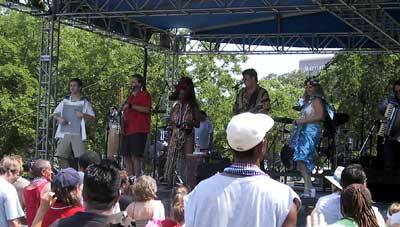 Dr. Zog is an exotic band from Austin, Texas that combines different music styles, such as Zydeco, New Orleans Funk and Latin music. They play it all with a lot of energy. In 1997 they made their first cd, called "Growin' Up Wild In East Texas". Their second one "Swampadelic" followed in 1999 and recently (2003) their 3rd cd "The Electric Crawfish Boil" came out. The beat and the sound on this last one surely invites all exotic girls to decorate the dance floors…Lots of music- (and dance-) styles can be recognised on this cd and it's all very well played by these musicians. It's all close to Zydeco, but I should recommend this band to people with a width view on it , rather then to the Zydeco purist. The cd surely gives a good impression on what you can expect from this party-band on stage and I guess that's quite something! Is it possible to eat good Cajun food in Europe? Yes, it is! Last summer, when I was in Paris, my gator nose took us to Blue Bayou, a Cajun restaurant. Downstairs there’s, a cocktail bar (where they played blues music) and a place with different billiard tables. Upstairs there’s a very fine friendly Cajun restaurant (with wooden floor, nice pictures from Cajun musicians and a Cajun flag on the wall). “La Louisiane à Paris!” And yes, the jambalaya tasted delicious! (And for a nice price!) The chef learned his Cajun cooking in New Orleans. Sometimes there are live bands (Blues and Cajun) playing… To my feeling, this should be the perfect place to play for the Louisiana Cajun- and Zydeco-bands, who are on tour in Europe. At age 17, Happy Fats started to play with Amedee Breaux and Joe Falcon. In 1935 he started his own band, the Rayne Bo Ramblers (including “Rang Tang Bully” Joe Werner). Another famous member of the Rayne Bo Ramblers on the end of the 30’s, was Harry Choates (also from Rayne), who played fiddle on Happy Fats’ RCA-hit “Les Veuves de la Coulee”. 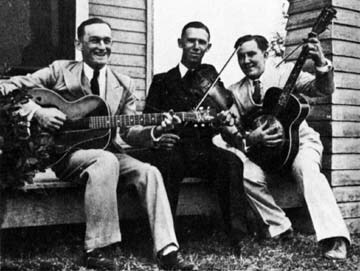 After the Rayne Bo Ramblers split up in 1941, Happy Fats joined Leo Soileau's Rhythm Boys. Later he even toured in the States with the singing cowboy, Tex Ritter. Just like his fiddler Doc Guidry, Happy Fats also gave musical contribution for the campaigns of the, in 1944 and 1960 voted, Louisiana governor Jimmie Davis. That governor also became a world famous country singer, with hits like “You Are My Sunshine”, “Nobody’s Darlin’ But Mine” and also the great “Sweethearts or Strangers”, the original of a Carl Perkins rockabilly classic. Jay Miller gave Happy Fats a golden record for “Dear Mr. President” which was one of his politic tinted songs against president Lyndon Johnson. Happy Fats died in 1988 at the age of 73. Well, no more excuses! Here's a golden link for you and of course for all Cajun-lovers. It helps a lot of people to decide what records/cd's you should order. Give your ears what they deserve! You'll find a lot of great old stuff (including some hard to find) from the real Cajun pioneers! Exactly 111 years ago, this great fiddler-singer was born (on 26th January 1893). Dennis McGee grew up in L’Anse des Rougeaux, near Eunice, Louisiana. In 1907, at age 14, he already performed on stage. During the 20’s and 30’s he performed a lot with Creole accordionist Amédé Ardoin. In 1929 he made his first record (which included vocals, 2 fiddles, accordion & triangle). 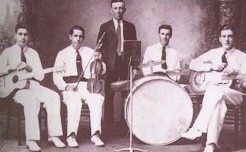 He also played together with brother-in-law Sady Courville (fiddler) for many years. Dennis recorded for the Vocalion, Brunswick, Melotone and Swallow labels. He married 3 times and made 15 children! He died in 1989 at the age of 96. You can also see great performances from the older Dennis McGee on the Cajun documentaries “J’ai Eté Au Bal” and “Cajun Country-Don’t Drop The Potato”, where he plays on an American Football stadium. Formed in 1988 by Robby “Mann” Robinson, Zydeco Force built up a lot of popularity. After 5 cd’s, radio- and TV-commercials, a movie score, some documentaries, etc. , the band broke up in the early 90’s. But for the new millennium, they reunited and since then their 6th, 7th and 8th cd came out. The newest one “Rock A While Z-Force Style” is on Maison de Soul by Flat Town Music and includes 7 songs for a low price. With these 7 very danceable tracks, they take your mind out of your head and bring it straight to Louisiana (“where the Zydeco comes from”). Also great to hear is that the microphone passes different singers, without any loss of quality. This pure Zydeco party-cd is absolutely a must for all Zydeco-lovers! Happy birthday, up above, Leo Soileau! Exactly 100 years ago (19th January 1904), cajun fiddler Leo Soileau was born in Ville Platte, Louisiana. Shortly after Joe Falcon recorded "Allons A Lafayette"(the first cajun record ever), Leo Soileau made the second one "Hé Mom" in 1928 (together with Mayeus LaFleur, who has been killed 9 days later). Leo also recorded with Moise Robin and the "Soileau Couzens" in the late '20s and in the '30s he formed the Three Aces, Four Aces and the Rhythm Boys (all Cajun string bands). He recorded more than 100 cajun songs on different labels, including Victor, Paramount, Bluebird, and Decca. After the late '40s he started working as a general contractor and since then he rarely played music anymore. 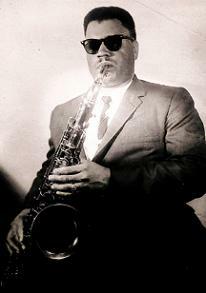 Leo died in Ville Platte on 2nd August 1980. 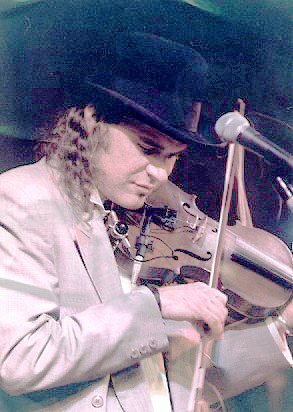 You can have a short listen to Leo Soileau on the following links, but if you like good ol' Cajun music and you would like to have a piece of Cajun history I can highly recommend to order the cd. 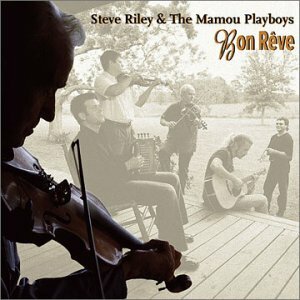 This week, I gladly added the new jewel from Steve Riley & the Mamou Playboys to my cd-collection. The name of his newest cd is "Bon Rêve" and the cd is nominated for the Grammy Award in the Traditional Folk Category. Also nominated in that category, are June Carter Cash, The Three Pickers (Ricky Scaggs, Doc Watson & Earl Scruggs), Pete Seeger and Steve Forbert. The Awards are 8th February in L.A., California. But of course, you don't have to wait the results of the nomination to buy that cd. More than 1 hour of typical Steve Riley-styled Cajun music, which means especially Cajun, country and folk with a lot of variation. You can also first have a look on Amazon (www.amazon.com) and listen to a few tracks... Congratulation to Steve Riley & the Mamou Playboys and to everyone who helped with this c.d.! Good luck at the Awards! On December 26th, legendary saxophone player John Hart died at age 71. He played for Lil' Bob and the Lollipops, Clifton Chenier and the Red Hot Louisiana Band, Rockin' Doopsie and the Zydeco Twisters, and Nathan William and the Cha Chas. John Hart spent the highlight of his musical career playing background for Clifton Chenier as part of the Red Hot Louisiana Band in the 1960s. The funeral took place on 3rd January.